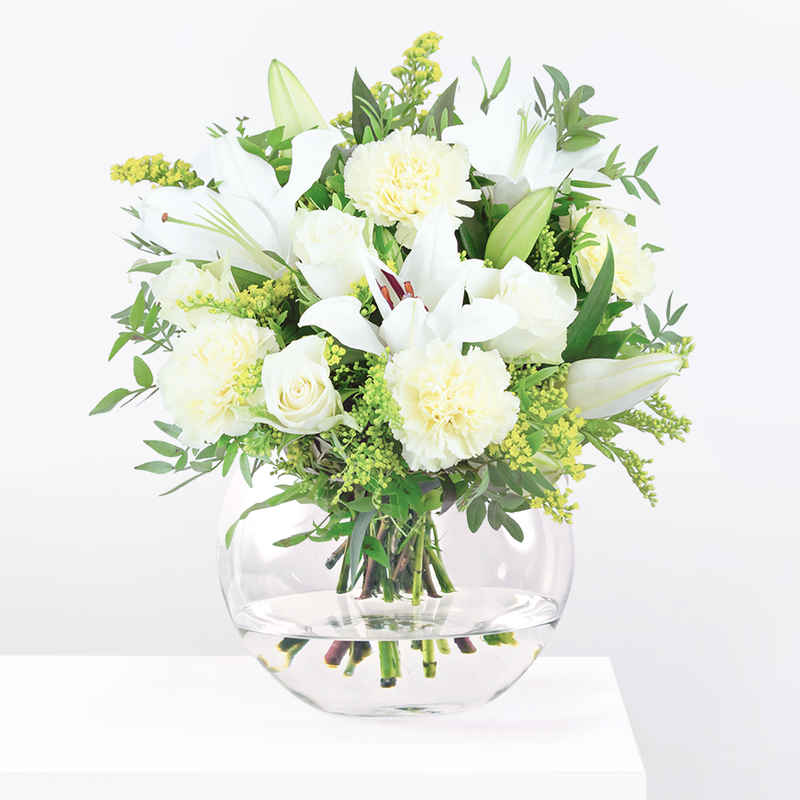 The scented white lilies in this bouquet represent innocence and purity. They are beautifully complimented by avalanche roses and carefully selected green blooms to represent the core sentiments at Barnardo's. 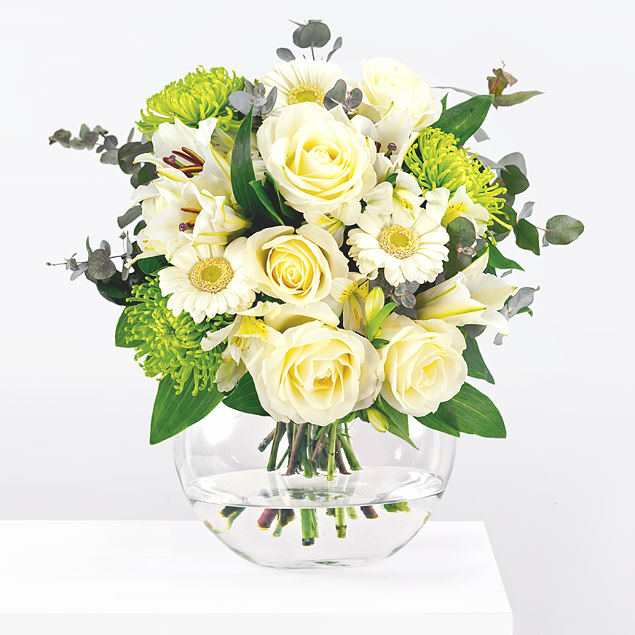 This is the perfect choice of flowers for those looking to offer support or comfort to a loved one. Believe has been added to your basket.